The CleanTech 500EZ automatic handwashing system features a stainless steel, watertight cabinet designed for wall mount in high-use areas and is ideal for industrial production environments. Very durable and made to withstand a lot of use in difficult environments, the CleanTech 500EZ holds three, 4 Liter containers of soap, which provides up to 2,400 washes in high volume areas. This is our most cost-effective CleanTech model for industrial environments but can also work in other environments where easy cleaning and durability are important. Cycle Activation: Automatic, via infrared photo-optical sensor. 12-second wash and rinse cycle. Handwash Compliance Monitor: Counts number of handwash cycles. Optional resettable counter. Drain: Standard 1 1/2" drain stub, P–Trap to be supplied by facility. Ideal drain height 18" from floor. 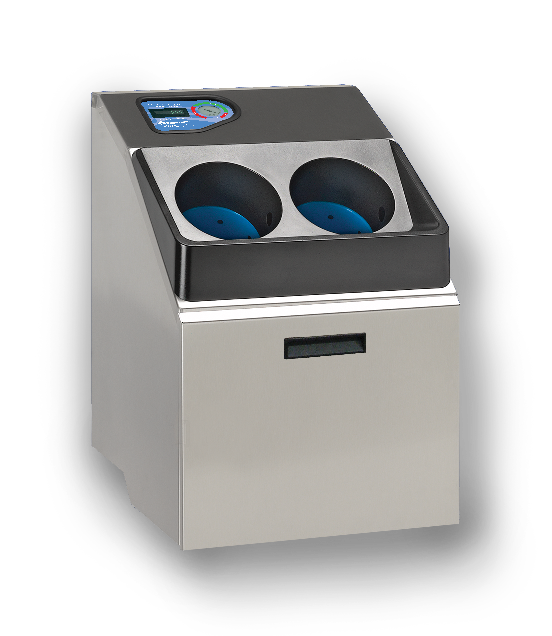 When durability and CIP is desired for food processing, packaging, or food service industries, the 500EZ is the most economical option — same technology with fewer features than our larger models. Visit your market for more insight into other available Meritech solutions.